When it came time to add the wiring under my layout, I adapted a method I have used to build radio studios over the years. I have used plastic conduit clamps to create a wire management system below my bench work instead of drilling holes through the bench work. I believe this method is much faster, and makes a much simpler install than adding holes in the bench work. 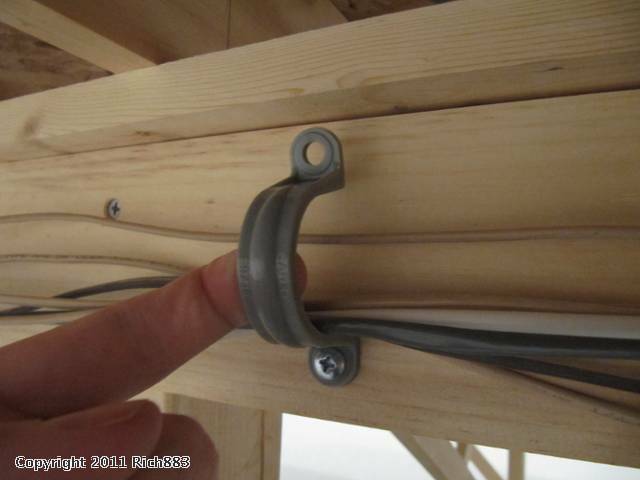 The conduit clamps are sold in the home improvement store in bags or 10 -15 depending on the size for a few dollars ? not very expensive. They come is several sizes so you can select the size that will be bigger than the total amount of cable you want to pull thru it. I suggest picking a size about double the amount you think you will pull as most people underestimate how many wires they will add to a bundle. They can be attached either to the side of a runner, or it could be to the bottom for unobstructed runs. I attach a screw only thru on side so I can ?drop? 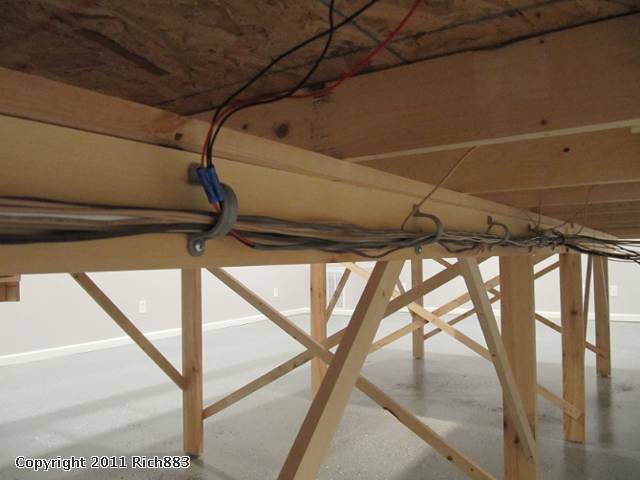 wires in without having to pull the entire length of wire thru the clamp. I hope you find this method useful. That's a great idea, Thanks for the tip.